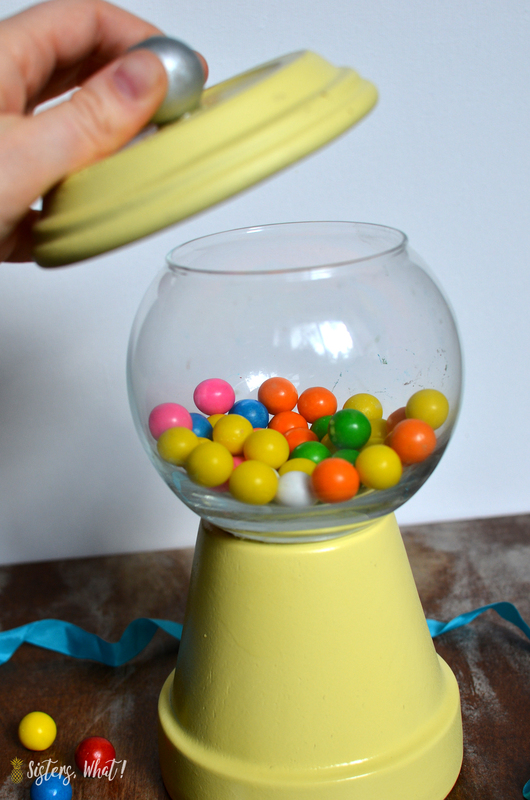 ' DIY Gumball Machine out of Clay Pots and Fish Bowl || a DIY Tutorial - Sisters, What! 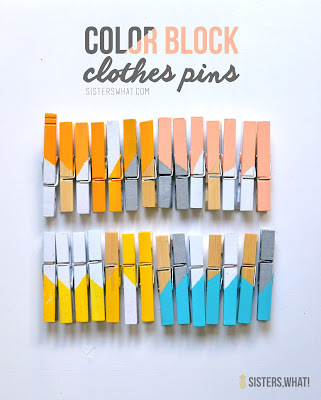 For some reason I am either quick to share a project on here or it takes me a year to finally blog about it :). 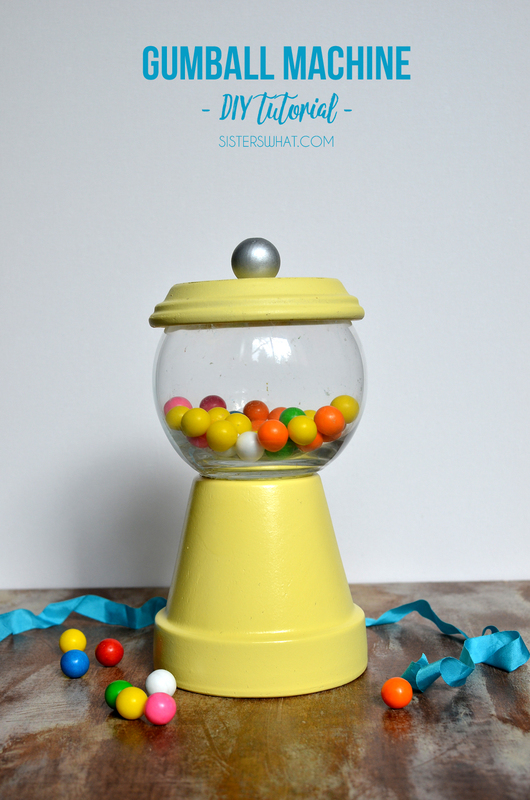 This gumball machine is the later. 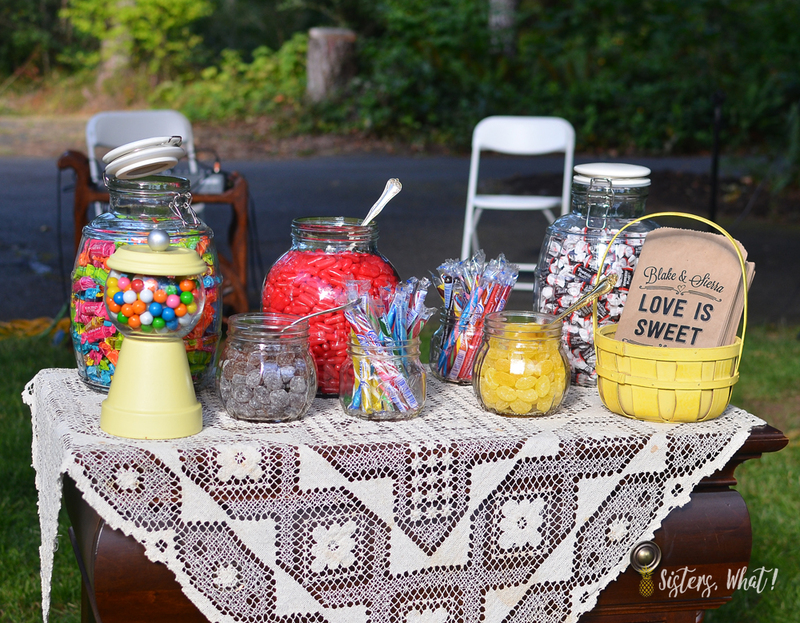 It's not a typical project that I would even think to do, because candy or gum on a shelf in the eyesight of small ones always seems like a bad idea, but my sister-Sierra for her wedding was having a old fashioned candy table so I just had to make one for her. 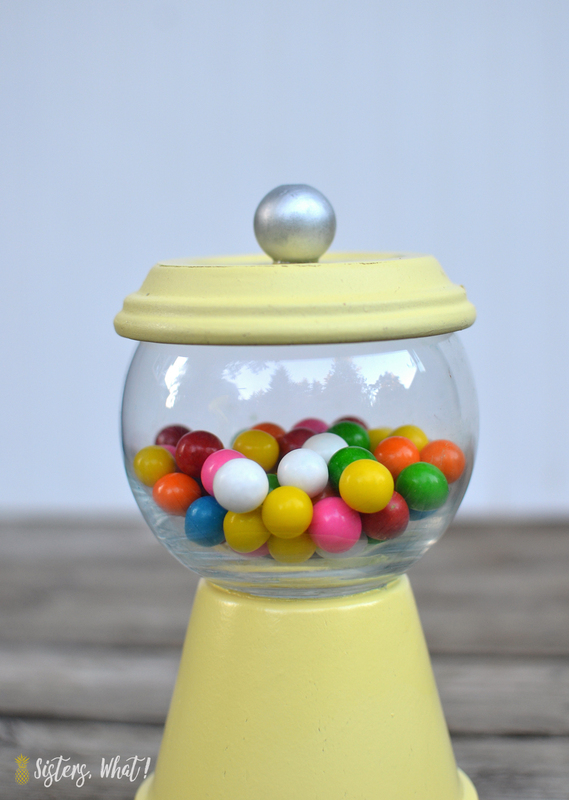 I mean, you have to have gumballs as part of a old fashioned candy collection and a gumball machine is right up there to me with nostalgia candy. 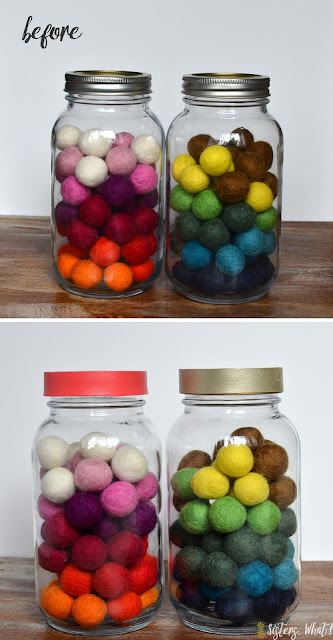 The best part is that it was a quick project, easy to make AND easy to customize in any color for her wedding. 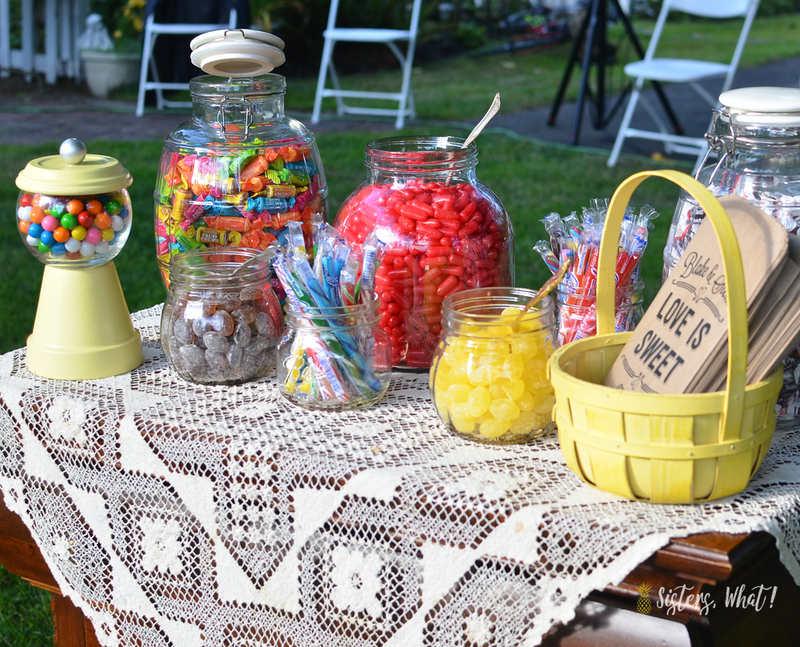 It looked perfect on her candy table. 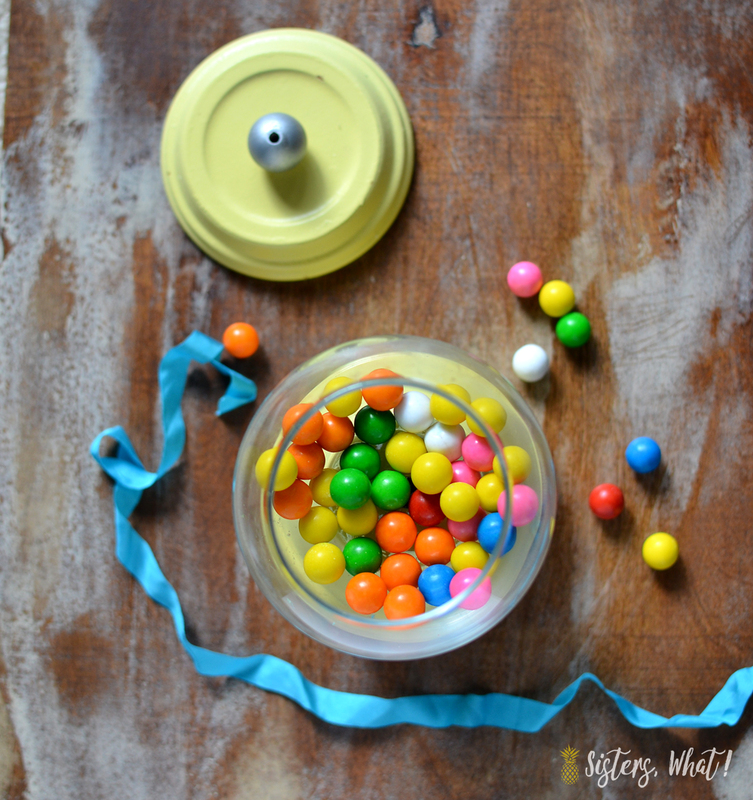 It now sits on one of my craft shelves and to my surprise, the small people never take one without asking first. I'm not sure what's wrong with them ; ). 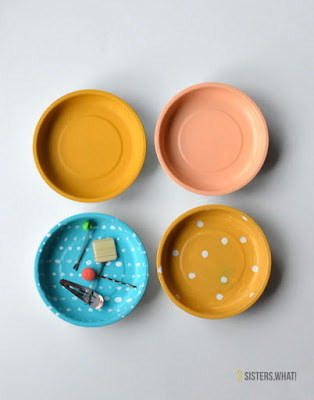 Paint your wood bead desired color and then glue on the lid with e-6000. 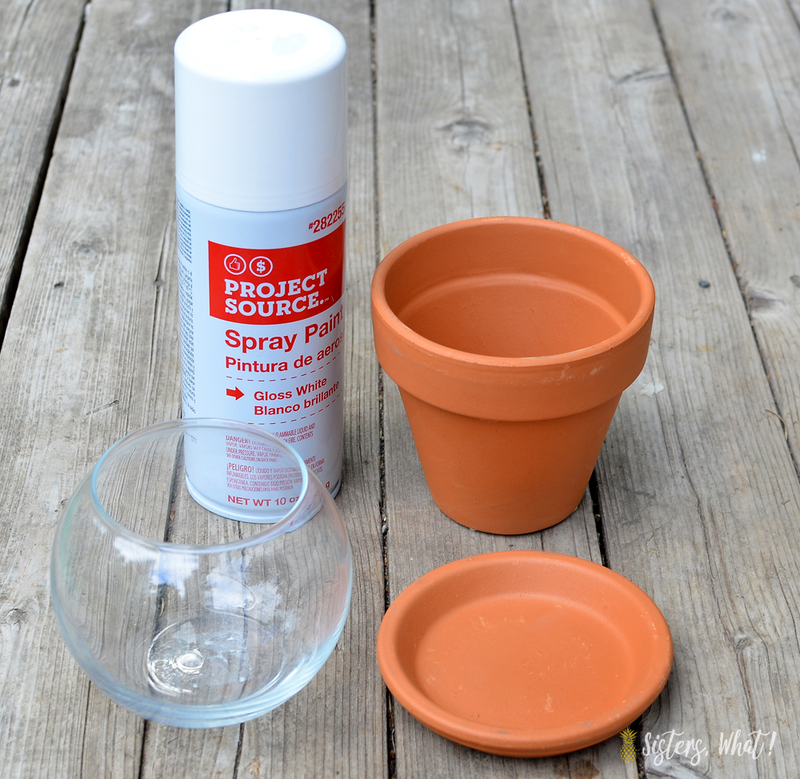 Likewise, glue your bowl on the bottom of your pot. And that's it! SO EASY!